This teachers are cool sunglasses print is a brilliant thank you gift idea for your child’s teacher. Let them know just how cool they really are! The design shows three pairs of funky sunglasses, in pink, yellow and green, with the text ‘Teachers are cool’ along the bottom. The print is available in 7×5 inch unframed, 7×5 inch framed, A4 unframed, A4 framed and A3 unframed. 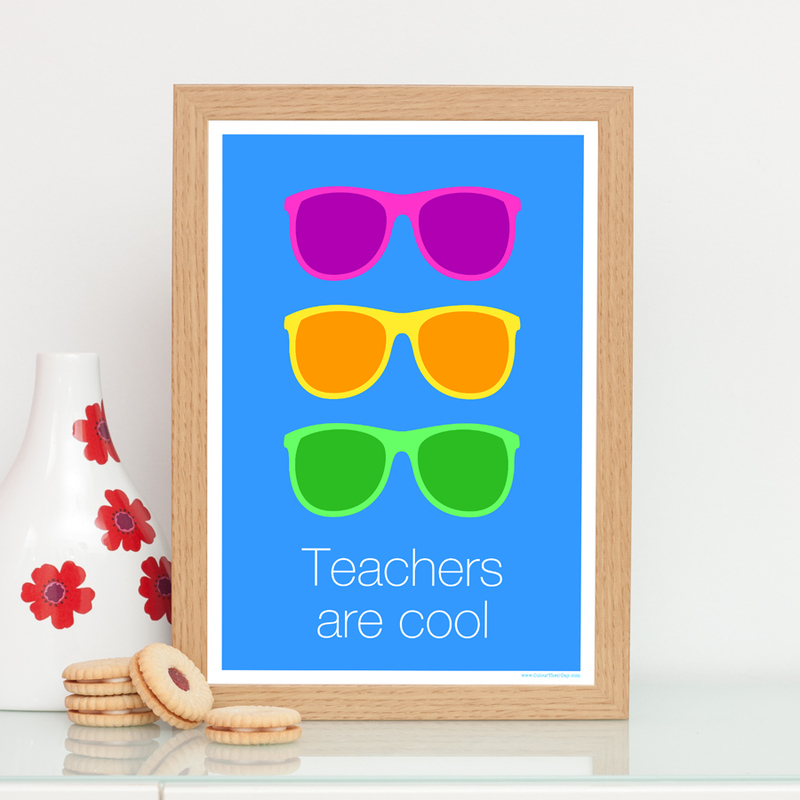 Be the first to review “Teachers Are Cool – Sunglasses Teacher Print” Click here to cancel reply.